November is Diabetes Awareness Month and November 14th is World Diabetes Day. 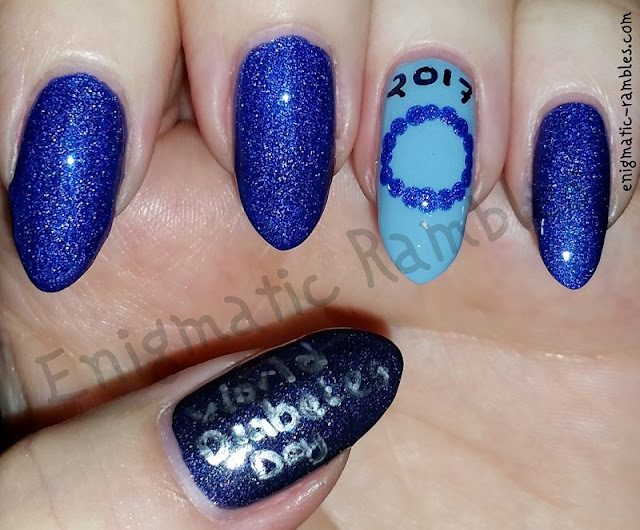 I also did awareness nails last year which you can see here. The reason behind today being World Diabetes Day is because the 14th November was Sir Fredrick Banting's birthday, the co-founder of insulin.